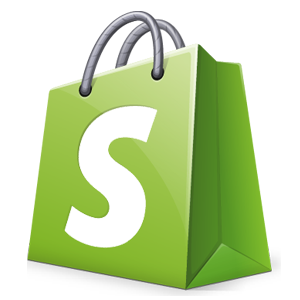 Shopify is a web application that allows you to create your own online store. One of the key ideas behind Shopify is that users without much in the way of technical or design skills can create a store without the involvement of a design agency or web developer. Because Shopify is a hosted solution, you don’t need to worry about buying web hosting or installing software anywhere; the idea is that (nearly) everything you need to build and run your store happens ‘out of the box’. As long as you have access to a web browser and the internet, you can manage your store from anywhere. Shopify was founded in 2006. Since the launch, the platform has quickly grown from a small player to one of (if not the) leading ecommerce solutions. The company is powering more than 500,000 online retailers and has helped businesses process over $40 billion worth of sales as of 2017. It doesn’t matter if you are just starting a new online shop, or bringing an offline store online to grow your business, the last thing you want to do is troubleshoot technology. Shopify can help you save time so you can focus on other important aspects of your business. If you are starting a new online business, or just bringing an existing business to the online world, Shopify is definitely one of the easiest ecommerce builders to help you create your online shop. SooPOS is a Windows-based application based on Microsoft .NET Framework. The SooPOS and Shopify partnership is a tremendous opportunity for businesses that want both brick and mortar shops and an integrated online storefront. With just a few clicks you can import your entire Shopify inventory–including pricing, stock levels, and product descriptions–to SooPOS. Products, stock levels, sales data, and customer contact information is also synced between the two programs. SooPOS acts as Shopify store manager so you can use a central management point to control inventory and reporting for multiple brick and mortar shops, plus a top-notch eCommerce shop. The backend process works in the background to keep your products, customers and orders continuously up-to-date between Shopify and SooPOS. SooPOS quickly and effectively manage your Shopify online store. It was designed to enhance the functionality of default admin web interface, bring new cool features, automate routine tasks and simplify day-to-day operations. SooPOS is an easy-to-use Windows application with simple installation. It doesn’t require any special skills to run and you can concentrate on your basic business tasks. In a single integrated system, you can manage all areas of your retail organization including point of sale, sales back office, inventory management, employee payroll, accounting, customer CRM, multi-channel/e-commerce and more. All of your product information such as names, prices, quantities, images created in SooPOS will sync up with Shopify automatically. If a product is out of stock in your stores it will show out of stock on Shopify. Network problems, internet offline or kiosk sale? Most web-based POS systems don't have the offline capability at all. A few POS systems which claim work offline, the functions are very limited. The POS will not operate without an internet connection if you have not completed an initial sync, you also won't be able to use it offline if you weren't logged into your store before the internet went down. SooPOS provides locally installed SQL database, it can work completely offline and fully functional. When you have internet, The data will be automatically synchronized to the cloud database. Tired of managing thousands of products on iPhone or iPad small screen, or waiting for web browser's response on every single click? SooPOS robust system can easily handle hundreds of thousands of products, enables you to track, maintain, and view stock levels across multiple locations and Shopify web store in real time. Employee role permission control on every detailed menu, button and functionality. SooPOS is a Windows-based POS system with many features that’ll help you run every aspect of your retail business. The software has been developed from custom requests of thousands of retail businesses across the US and Canada in last 30 years. In other words, SooPOS is built by retailers, not only the software developers. At SooPOS, we understand that not all businesses in the retail industry are created equal. That is why we designed our retail POS systems to include the features that solve the challenges many other POS systems don’t address — and make the process of running a business more smooth, less daunting and more enjoyable.